Appreciate the collections at SSJG Heritage Centre and The Courthouse Collection. Step out of the city life by going to Nature & Wildlife Tours and Cable Beach. And it doesn't end there: look for all kinds of wild species at Malcolm Douglas Crocodile Park and Animal Refuge, take in the dramatic natural features at Gantheaume Point, and take an in-depth tour of Broome Historical Museum. For reviews, traveler tips, other places to visit, and other tourist information, you can read our Broome journey planner . Springfield, USA to Broome is an approximately 39-hour flight. Due to the time zone difference, you'll lose 14 hours traveling from Springfield to Broome. Expect somewhat warmer temperatures when traveling from Springfield in May; daily highs in Broome reach 90°F and lows reach 66°F. Finish your sightseeing early on the 17th (Fri) so you can travel to Margaret River. 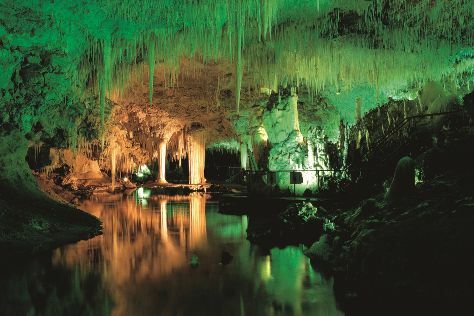 Start off your visit on the 18th (Sat): visit a coastal fixture at Cape Leeuwin Lighthouse, Head underground at Jewel Cave, then explore the fascinating underground world of Lake Cave, and finally explore the fascinating underground world of Mammoth Cave. Get ready for a full day of sightseeing on the 19th (Sun): enjoy the sand and surf at Cowaramup Bay and then savor the flavors at Food & Drink. Ask Inspirock to suggest an itinerary and make planning a trip to Margaret River fast, fun, and easy. Getting from Broome to Margaret River by combination of flight and bus takes about 9 hours. Other options: drive; or take a bus. Wrap up your sightseeing on the 19th (Sun) early enough to travel to Alice Springs. On the 20th (Mon), look for all kinds of wild species at Alice Springs Desert Park, then get the lay of the land with Walking tours, and then explore the striking landscape of Emily Gap. 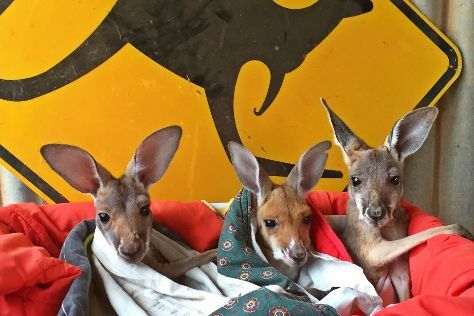 On the 21st (Tue), you'll have a packed day of sightseeing: look for all kinds of wild species at Alice Springs Reptile Centre, then look for all kinds of wild species at The Kangaroo Sanctuary, and then take some stellar pictures from Anzac Hill. Inspirock's itinerary builder makes planning a Alice Springs trip simple and quick. Do a combination of bus and flight from Margaret River to Alice Springs in 9.5 hours. Alternatively, you can drive; or do a combination of bus and train. The time zone changes from Australian Western Standard Time (AWST) to Australian Central Standard Time (Northern Territory) (ACST), which is usually a 1 hour difference. In May in Alice Springs, expect temperatures between 76°F during the day and 47°F at night. Finish your sightseeing early on the 21st (Tue) so you can travel to Port Douglas. 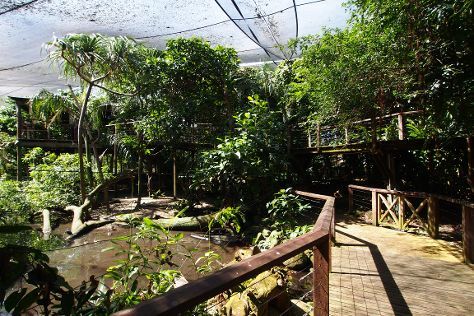 On the 22nd (Wed), relax and rejuvenate at some of the top local wellness centers, then get to know the resident critters at Wildlife Habitat Port Douglas, and then look for all kinds of wild species at Mossman Gorge. For reviews, maps, ratings, and other tourist information, read our Port Douglas trip website . Traveling by combination of flight and shuttle from Alice Springs to Port Douglas takes 5.5 hours. Alternatively, you can drive; or take a bus. Traveling from Alice Springs in May, you will find days in Port Douglas are a bit warmer (82°F), and nights are much warmer (69°F). Wrap up your sightseeing on the 22nd (Wed) to allow time to drive to Cairns. On the 23rd (Thu), look for all kinds of wild species at Australian Butterfly Sanctuary, then tour the pleasant surroundings at Trinity Beach, and then enjoy the sand and surf at Palm Cove Beach. To see photos, reviews, maps, and other tourist information, go to the Cairns trip planner . You can drive from Port Douglas to Cairns in 1.5 hours. Alternatively, you can take a bus; or take a shuttle. In May, plan for daily highs up to 82°F, and evening lows to 69°F. Wrap up your sightseeing by early afternoon on the 24th (Fri) to allow time for travel back home.